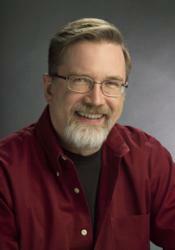 Larry Jordan, known world-wide for his in-depth Apple Final Cut Pro training, is the first to offer complete video training for the recently released Adobe® Prelude™ CS6. 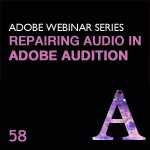 Larry Jordan has provided informative training for Adobe products, and it is great to see the addition of Adobe Prelude to his mix of dedicated training courses for production professionals. Larry Jordan, known world-wide for his in-depth Apple Final Cut Pro training, is now the first to offer a complete training for the brand-new Adobe® Prelude™ CS6 software - the ideal program for ingesting, reviewing, and selecting video footage. The new release of Adobe Creative Suite® 6 software features major innovations and powerful new releases of fourteen applications, including the new Adobe Prelude CS6. 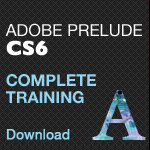 Adobe Prelude CS6 provides the muscle for a member of the production team to use it for logging and selecting specific clips, without requiring the use of dedicated editing software or tying up an expensive edit suite. Then, when done, instantly send the selected files to Adobe Premiere® Pro CS6, or Apple Final Cut Pro 7. The training consists of 30 QuickTime movies in HD, containing more than three hours of step-by-step video training. Available immediately as a download, and within a week as a DVD, the training has a retail price of $49. 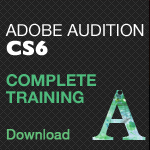 Larry Jordan’s Adobe Prelude CS6 training joins his Adobe Audition® CS6 training already available in his store and subscription service. Adobe PreludeCS6 software streamlines every production task. Users can ingest almost any file-based format and begin logging immediately, creating searchable markers and other temporal metadata that flow through post-production, then share the results with the rest of the editing team. Adobe Prelude is included in Adobe’s Production Premium, Master Collection and Creative Cloud. Larry Jordan & Associates, Inc. provides high-quality, engaging training and information covering video production and post-production for practicing professionals and students through a variety of media worldwide. The company was founded by Larry Jordan, an internationally renowned digital media analyst, producer, director, consultant and Apple-Certified trainer specializing in Final Cut training. Jordan’s FREE Weekly Newsletter is read by creative professionals around the world and is available at http://www.larryjordan.biz/nxlttrs.html. Jordan is also executive producer and host of the weekly interactive internet radio show and podcast, Digital Production BuZZ, providing everything you need to know about digital media, production, post-production and distribution (http://www.digitalproductionbuZZ.com). Larry Jordan & Associates, Inc.
www.adobe.com http://www.digitalproductionbuzz.comThe Digital Production BuZZ, what you need to know now and in your digital future.